Making your own cleaning products such as laundry detergent or a dishwasher powder is easy and budget-friendly which is important as for some people, the cost of buying in bulk and organic is prohibitive. Our video tutorial is easy to follow so I won’t waste your time by explaining how to make your eco-friendly laundry detergent and dishwasher powder. 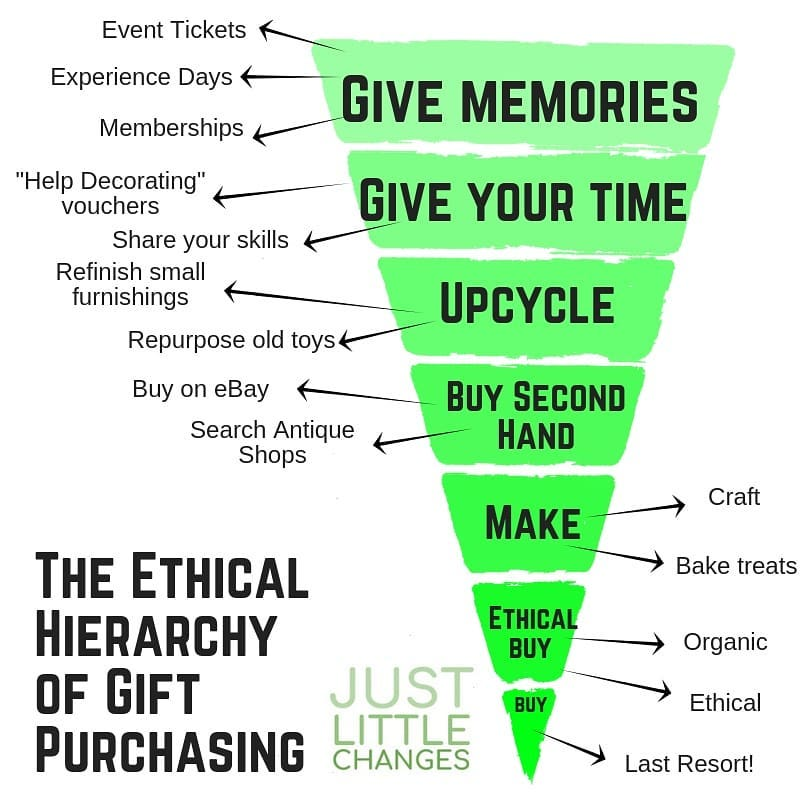 To give you some ideas on how to do this Christmas more ethically, I want to share with you the Ethical hierarchy of gift purchasing. Even if you aren’t able to follow it this year, save it for next time when you are deciding what to give someone. I believe that we have to start slow – step by step – dramatic changes to lifestyle usually bring us back to our old ways. What do you think about this ethical hierarchy of gift giving? Did you buy or make your gifts? Do you give memories instead of things? Furoshiki is one of the ways you can incorporate zero waste thinking this festive season. You will save money as there is no need to buy wrapping paper, tape, bows or ribbons that contain plastic. 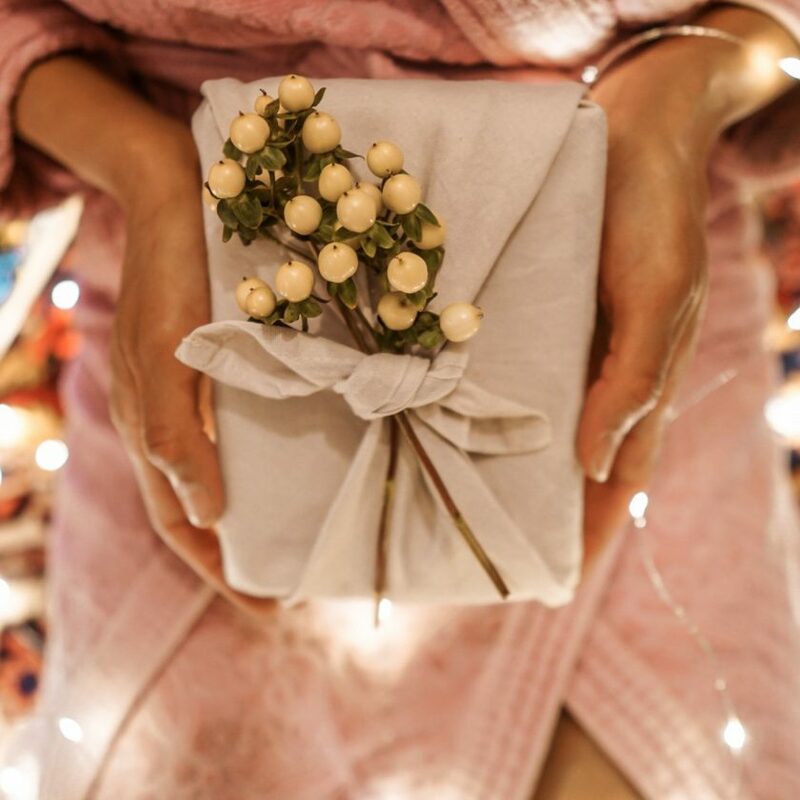 It is an ancient Japanese gift wrapping technique which uses cloth instead of paper. It is simple, ecological and there are several folding and tying techniques.